Netflix has joined Google as one of the first US companies to offer an Internet service in Cuba, but few Cubans can afford the $7.99 monthly Netflix subscription and home access is nearly all over dial up connections. DSL bandwidth at public access points, hotels and some work places can only support low quality Netflix streams and Cuba's second generation cell network will not support mobile viewing. Forgetting access, how about Copyright? Netflix cannot afford to violate copyright deals with its suppliers and in Cuba they have to compete with Cuba's weekly pirate distributions of movies, TV episodes, magazine, software, Web sites, etc. and similar material delivered over local WiFi networks. It would be interesting to know what sorts of royalty rates Netflix is paying for the material they plan to stream in Cuba and what content will be available. 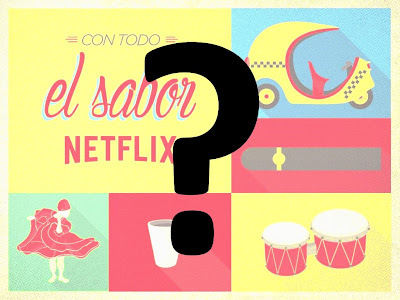 Given the economic, copyright and infrastructure constraints, I suspect that, for now, Fidel and Raúl Castro will be the only Netflix customers in Cuba and they will only be able to watch old Cantinflas movies and Netflix productions like House of Cards and Orange is the New Black. Google executives recently visited Cuba -- did they talk about YouTube? I imagine a much higher percent of YouTube content can legally be distributed in Cuba than is the case for Netflix, but the vast collection of YouTube video would cause problems for Cuban censors. Which Cubans would be allowed to access YouTube? Google does not block YouTube, so it is available to the few people with an international Internet connection, but I have not been able to find anyone who has seen YouTube in Cuba. It is not available in Universities, and, even if it were, student bandwidth caps would limit or eliminate viewing. Does anyone reading this in Cuba have access to YouTube video? (I am guessing that Netflix video is streamed from inside Cuba, perhaps from this ETECSA data center, but YouTube is not). I joked about the Castro brothers being the only Netflix customers in Cuba, but hotels and other senior government officials probably also have access. While that is not enough to justify going into Cuba, Netflix had gotten valuable publicity and demonstrated that they are a global company. Finally, everyone is focusing on Netflix, YouTube and other companies selling goods and services to Cuba. My focus is on the goods and services Cuba can sell to the US and the rest of the world. (We took a giant step in that direction with the announcement that many types of "goods and services produced by independent Cuban entrepreneurs" could now be imported into the United States). How long will it be before there are Cuban channels on YouTube and Netflix is commissioning videos made by Cubans? Maybe Google should open their next YouTube production center in Havana. *Note -- I revised this post after communicating with people in Cuba and at Google and Netflix.